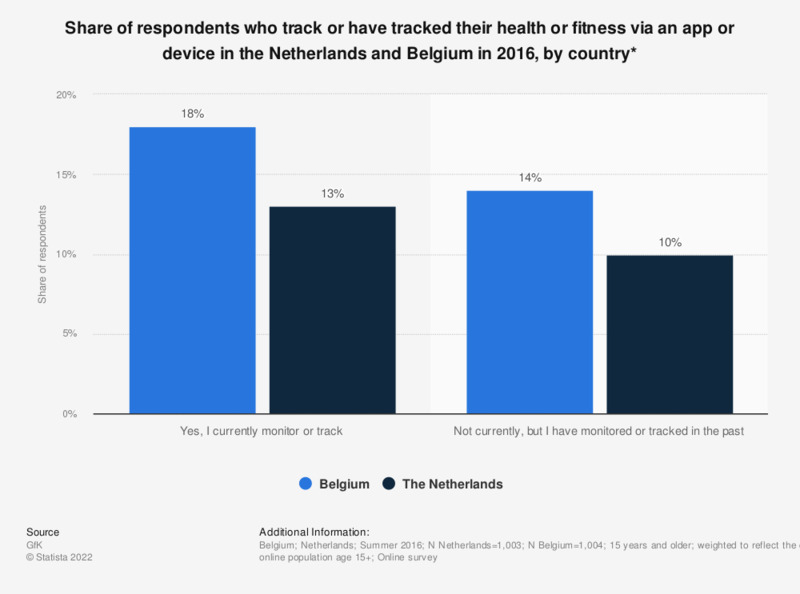 This statistic shows the share of respondents who track or have tracked their health or fitness via an app or device in the Netherlands and Belgium in 2016, by country. As of 2016, roughly 15 percent of the Belgian respondents indicated they are not currently tracking their health but have done so in the past. * This question was phrased by the source as follows: "Do you currently monitor or track your health or fitness using an online or mobile application or through a fitness band, clip, or smartwatch? This could range from monitoring your diet, weight, or health concerns to tracking your steps or other exercises."